This past weekend Luke came up to visit :) We had a goal to stay away from the house as much as we could! We even went as far to say get out of Seattle & do something fun, somewhere where we've never been before. So we went up to wine country & toured a winery & tasted a lot of great wines! 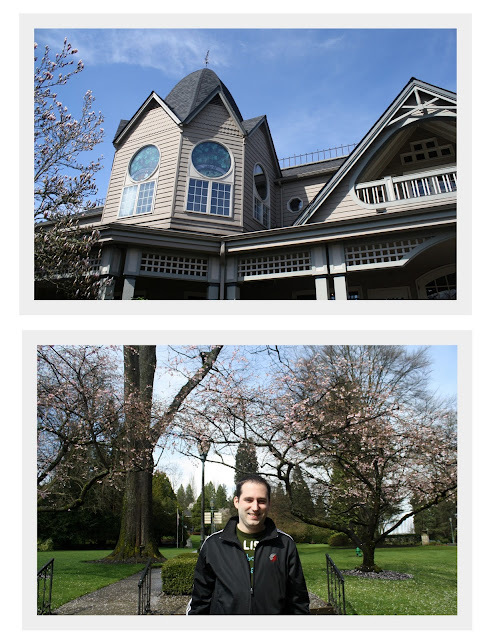 We went wine tasting at Chateau Ste. 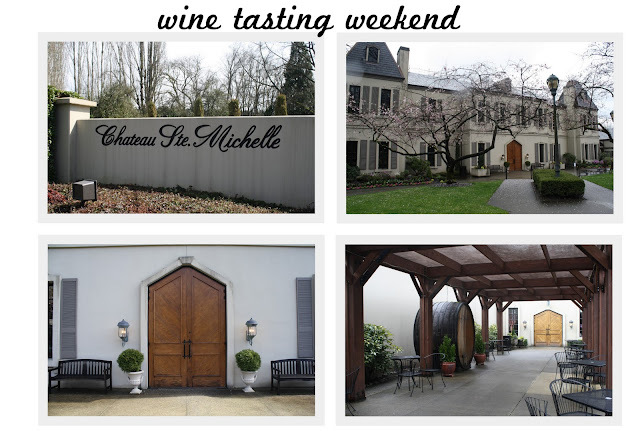 Michelle & Columbia Winery, both located in Woodinville, Washington. I'm usually not a fan of the white wines, I'm more of a red girl. Pinot Noir & Cabernet Sauvignon specifically. But we tasted some dessert wines & we both fell in love with one in particular. The Covey Run Semillion Ice Wine. It's delicious! We bought a bottle after our tastings & ordered a flat bread with herbs & truffle salt. It was a great ending to a very fun day! Have you ever been wine tasting? We have some great vineyards/wineries in the Okanagan. My husband and I went camping near Kelowna 6 years ago, and I wish we'd done a wine-tasting and tour... Next time, I hope! I'm a fan of White Zinfandel, chilled. The red wine from the Beaujolais region of France is amazing too. Especially when enjoyed in that part of France! Heavenly. Wine tasting is SO much fun! We live about 2 hours from Napa, and I really enjoy going to the smaller family vineyards...try wine that you can't buy in the stores. Placerville is also close by and they are starting to bring out some great reds! Looks like you had a wonderful time! Cheers! And with me, I can never go wrong with a Cabernet. i love wine weekends. we're so lucky to live near napa and sonoma. this reminds me of a wine trip i took with my best girlfriends to napa. we had such an amazing time on the tour (and actually learned a lot too!). you have a beautiful blog, can't wiat to read more. 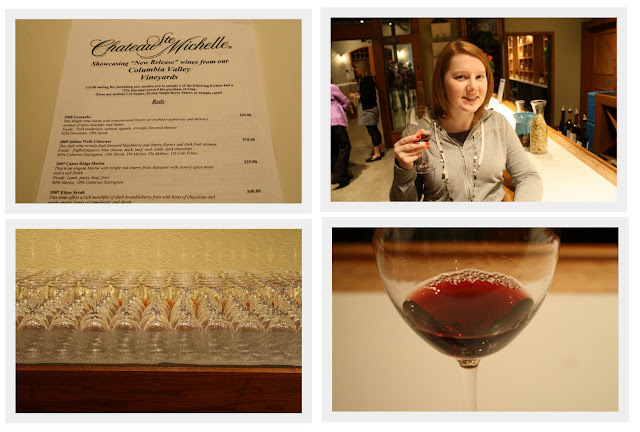 I would love to go to a wine tasting at Chateau St. Michele, as it is currently one of my favorite wines. 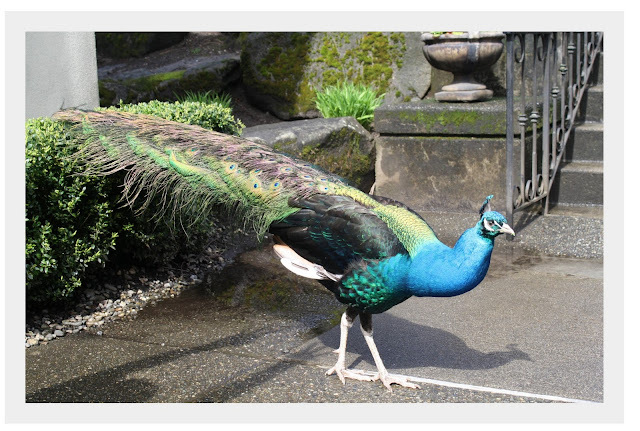 I'll be honest though, I am terribly afraid of large birds so the peacock is keeping me from going. Maybe I'll just drink wine before I go to the wine tasting. Classy, no? oooo how so very fun!! 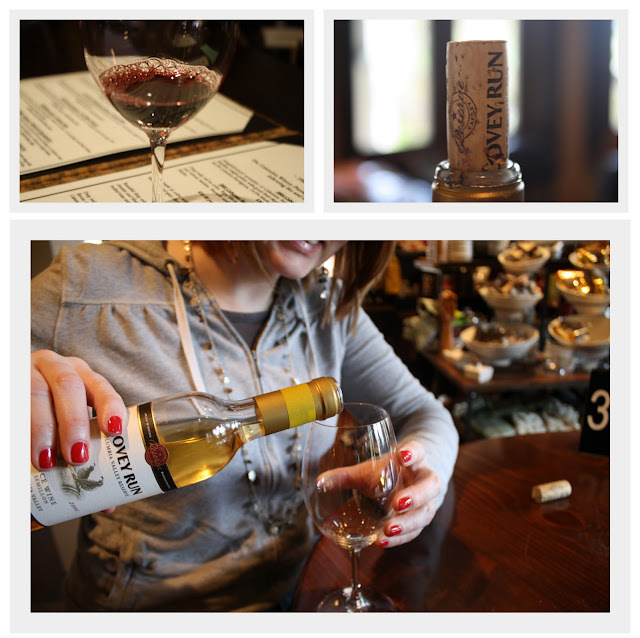 i LOVE the wineries in santa barbara and i've always wanted to go to napa valley! i love wine! 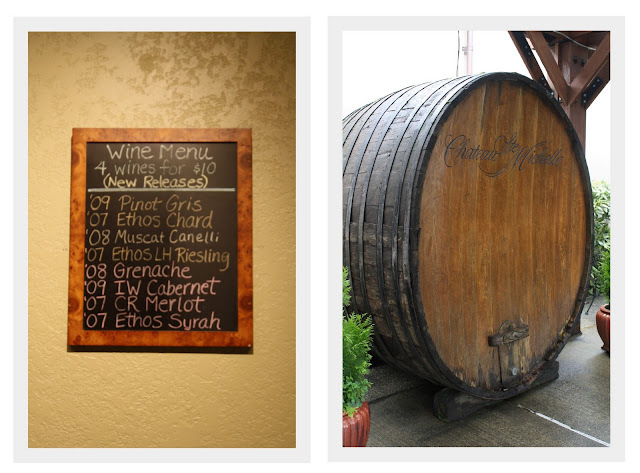 Southern Oregon is so great for wine tasting too, there are so many vineyards! I think one of my favs is a cheap one ($10) it's Bogle Cabernet Sauv :) yum!